See Chloe Bennett's New Quake Costume On Agents Of S.H.I.E.L.D. When Agents of S.H.I.E.L.D. returns later this month, Daisy Johnson, a.k.a. Skye, will be exchanging her spy threads for an outfit more heroic. 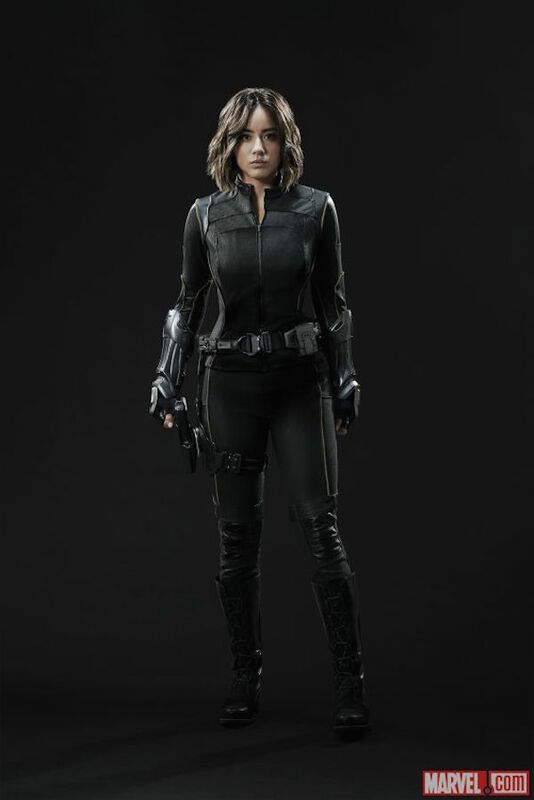 Taking a cue from her comic book counterpart, Marvel has released the first official image of actress Chloe Bennett wearing Daisy’s new Quake costume. It's only something that Daisy would have and is specific to her earthquake powers. It's a practical part of [the costume], cause when you put this on in real life, it's not that practical! I always wondered why superheroes wear such tight outfits, cause they're really tight and really limiting. It works onscreen, though. You can compare Daisy’s look above with what she wears in the comics below, but aside from the belt and gauntlets being darker, the new suit (which was designed by Ann Foley) is a faithful adaptation for live action. 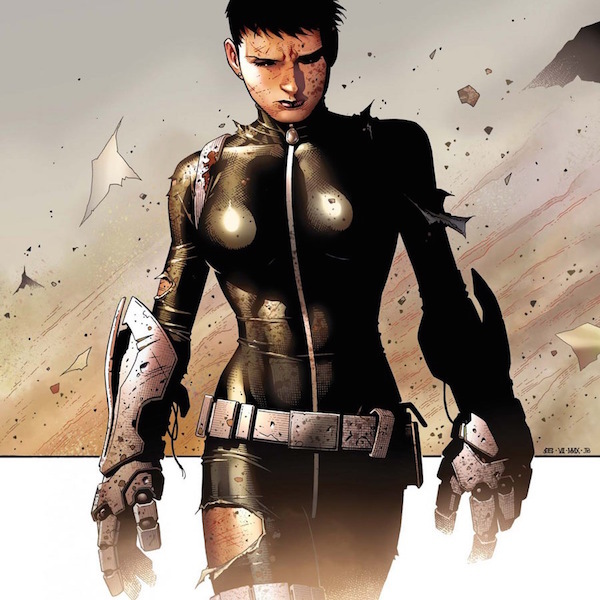 Daisy’s new costume comes at a time when her role within S.H.I.E.L.D. is changing. When Season 3 kicks off, she’ll help lead the search for more Inhumans that have surfaced around the world follow the events of the Season 2 finale. Eventually this will lead to the formation of the Secret Warriors, the same superpowered team that Quake leads in the comics. However, aside from Daisy and possibly her new teammate Lincoln Campbell, no other recruits for the team have been announced yet. Unfortunately for S.H.I.E.L.D, their search will be hindered by obstacles from a new government agency and the mysterious Inhuman Lash, not to mention their continuing battles with HYDRA, which is now led by Grant Ward. We’ll see Daisy in action wearing her new costume when Agents of S.H.I.E.L.D. Season 3 premieres on Tuesday, September 29 at 9 p.m. EST on ABC.